Year 11 and 13 students of 2017 - We expected a great deal from you and you have delivered. You should be so proud of yourselves. 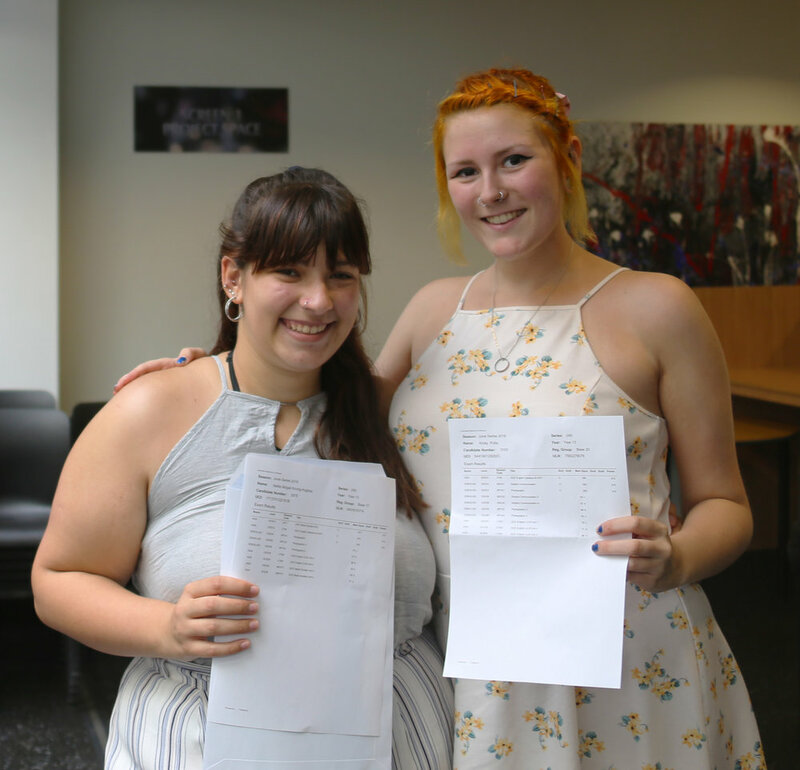 This is the third national results day for Elstree UTC. We have a lot of good news to report. Our results have been even better than last year. A sincere ‘well done’ to our students. 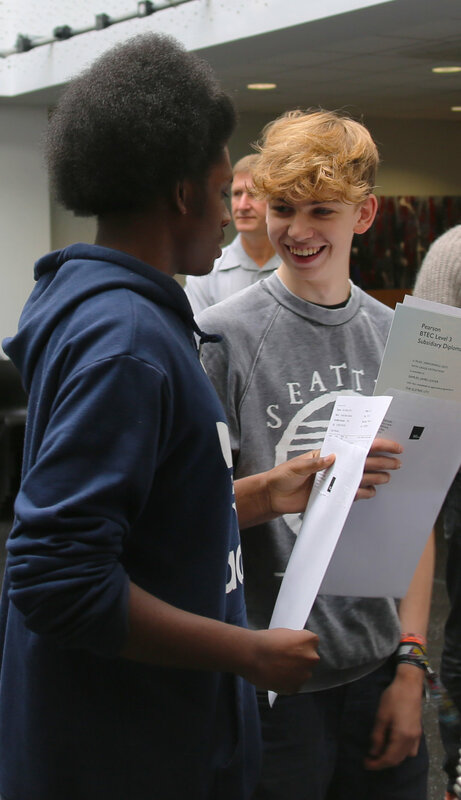 57% of Elstree UTC students achieved 5 GCSEs at A* - C including English and Maths, which is 22% more than last year. Elstree UTC is so proud to report such good GCSE results for 2016. They are truly up, up, up and represent some of the best improvements nationally. There has been a lot of change this year, new leadership, new curriculum model and a relentless focus on high-quality teaching, learning and student achievement. It is therefore absolutely brilliant to announce such considerable improvements. Our Maths and English departments deserve a special mention. Maths saw a 30% increase on last year and English saw an increase of 24% in the number of students achieving A* - C.
Our specialist subjects of Media Arts, Film Studies and Production Technology also performed really well along with Photography and Drama. As a university technical college specialising in the creative entertainments industry, it is so important that we are performing well in these specialist subjects and we are. Since I started leading Elstree UTC, friends, family and indeed officials in the department for education and our educational trusts have asked me about my work. I have always answered by describing EUTC as a college full of tremendous potential; an exciting opportunity, a different type of education with so much to offer… I can now say with authority that Elstree UTC is successful. EUTC has been a vibrant and exciting college since it opened… our students and staff know that EUTC is innovative and creative. We can now show with confidence that this college also facilitates and supports its students to achieve their potential and succeed in both core subjects like Maths, English and Science and specialist subjects like Media, Film and Production Art. We continue to be different from traditional schools, we are committed to our innovative and creative Culture and our potential is being realised. Our BTEC programmes deserve a special mention. Production Arts qualifications were of a very high standard with 81% of Media and Production Makeup students achieving the highest possible result of Distinction Star. In Lighting and Sound Technology, we saw 73% of students achieve Merits and Distinctions. As a University Technical College it is so pleasing to see us achieving so highly in specialist technical courses like these. The other vital measure of success for a technical college is whether students are sufficiently equipped to move on to the course or employment opportunity of their choice. I am delighted to report some stand-out achievements. We have students who are now set to begin apprenticeships in Music Business Management and Studio Sound Engineering. We also have students who are going on to internships in the Entertainments Industry such as Working Title Studios and Smile Productions. We even have a student who is in the process of establishing his own successful start-up company in drone and aerial camera operations. We also have a high number of students who are going onto further study including Press and Editorial Photography at Falmouth University, Film Production at the University of Portsmouth, Animation at the University of Creative Arts, Film and TV Set Design at University of South Wales, Professional Dance in Musical Theatre at ERDANG and Graphic Design at our very own university partner - The University of Hertfordshire. I would like to wish all our students sincere congratulations in their sterling efforts to realise these pleasing accomplishments. I must also extend my thanks to the teaching team at Elstree UTC who have worked so hard to resource these results for their students. Thank you also to the parents and families of our students for all their support. Today is not only results day, it is enrolment day for our sixth form too. I look forward to welcoming our students into the sixth for where their journey of success and specialist achievement can continue. I extend a warm welcome to our leavers to now join our alumni community and keep in touch as they develop their careers. I hope to welcome them back as future speakers, partners, colleagues and employers.